Easy Mini Burritos are packed with ground chicken, pinto beans, Pico de Gallo and flavorful Mexican rice. A classic burrito that is ready to show your tastebuds the next level. 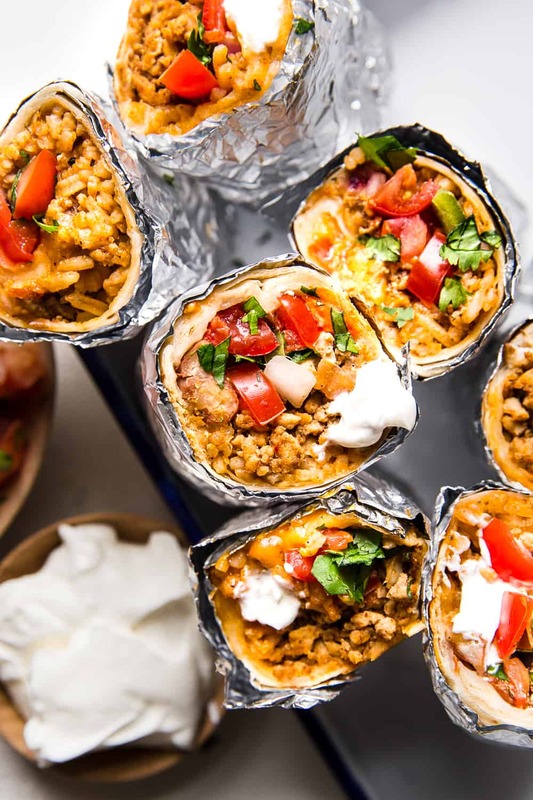 These Mini Burritos will leave you wanting more! I am a lover of all things flavorful and adding the extra ingredients for these Mini Burritos just makes them even better for everyone to enjoy! Reynolds Wrap is my very best friend when I am in the kitchen. I love that it can be warmed up or cooled down in temperature depending on what I am using it for. It is perfect for covering dishes, lining baking pans, storing leftover foods in the refrigerator or freezer and baking at high temperatures. I love how it molds to any shape I am using it for. It has made my life easier in the preparing, cooking and storing of our meals. The box is easy to use with a simple glide that makes a perfect cut every time. When not in use there is a stay closed tab that locks in the wrap and avoids any mess when being stored. 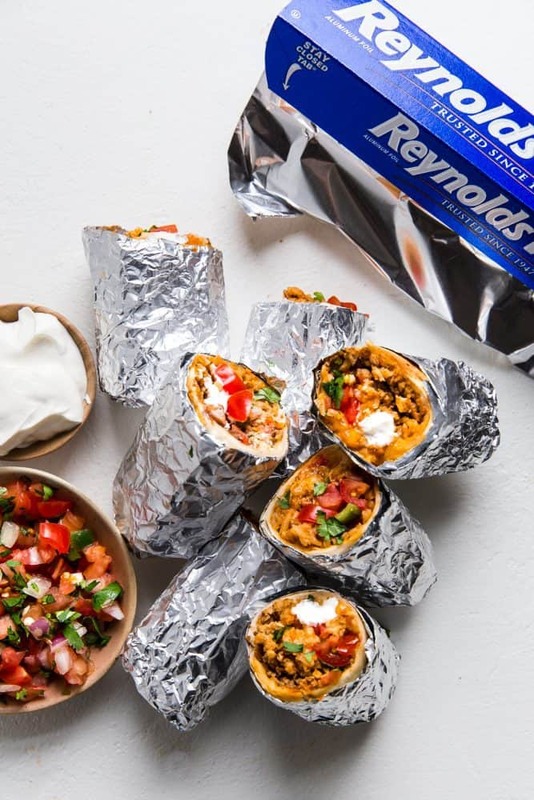 Reynolds Wrap is just what I needed when baking these Mini Burritos. 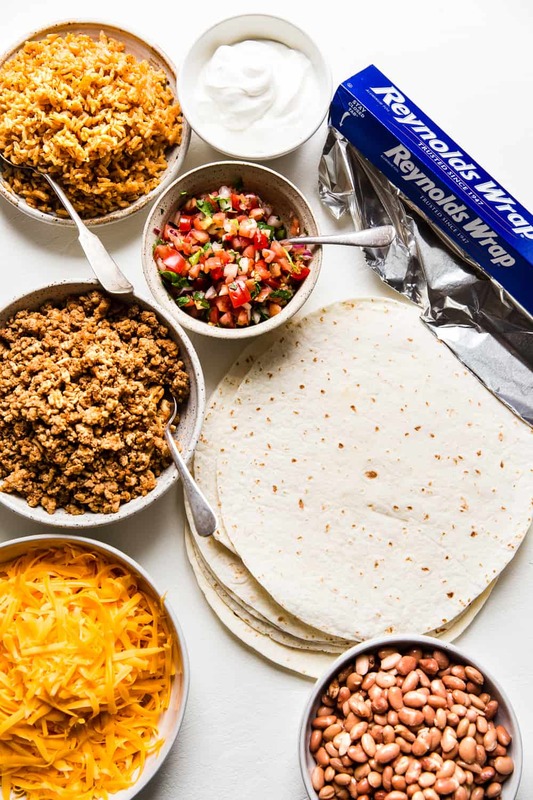 I used the standard foil for a multiple purpose function from preparing the burritos to rolling them up and finishing them by shaping them with the foil around each burrito to hold them in place and lock in the flavors. No burrito can be left without the cheese and with this baking method the cheese adds the perfect warm touch that leaves your mouth enjoying bite after bite. These are best served warm with the Reynolds Wrap around them. This will maintain the warm, melted cheese and comfort of a Mini Burrito. You will not want to make a burrito any other way after this! How do you make Easy Mini Burritos? In a large skillet over medium heat, brown ground chicken along with chili powder, cumin, garlic powder and salt. Once cooked remove from heat and set aside. Working with one tortilla at a top fill center with cooked rice, prepared chicken, cheddar cheese, beans, pico de gallo and sour cream. Fold in sides and tightly roll burrito. 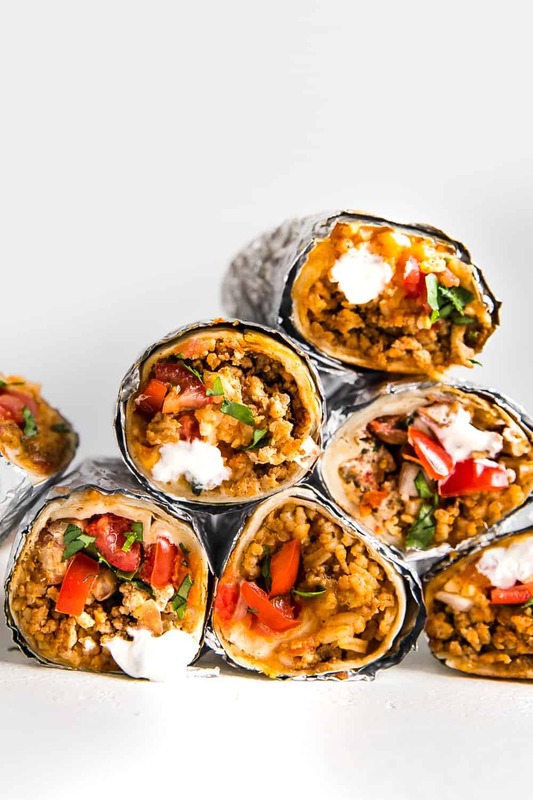 Follow by wrapping burrito in a similar manner with a 10 inch piece of Reynolds Wrap Aluminum foil. Repeat the above steps with remaining ingredients. Preheat oven to 375°F. 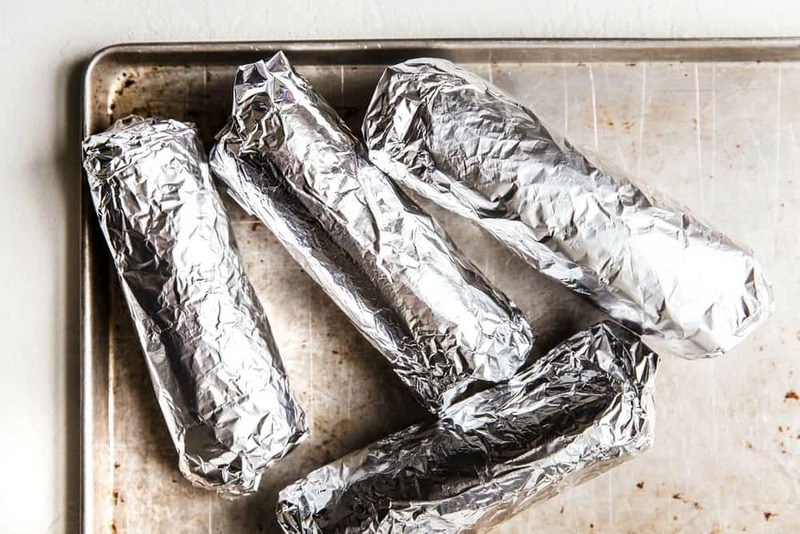 Arrange aluminum wrapped burritos on a baking sheet and bake on center rack for 20 minutes. Serve cut in half along with extra salsa and sour cream. 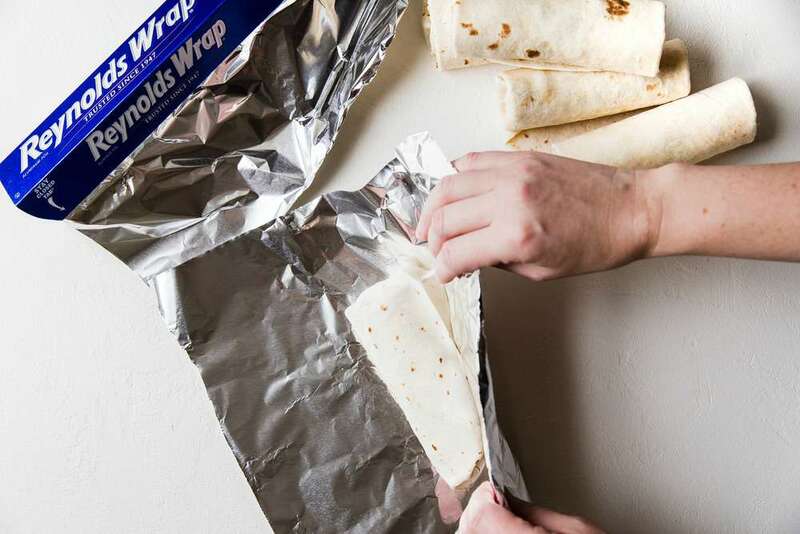 It locks in flavor: Use foil packets for delicious, easy meals in the oven that stay moist and flavorful. Keeps Food Fresh: Wrap and store leftovers in foil to lock in freshness in the refrigerator or freezer. Prevent Burning and Splattering: Use foil to cover pans when cooking in the oven or on stovetop. Used For: Lining baking pans and covering dishes, making packets for the grill or oven, and storing leftover foods in the refrigerator or freezer. It provides easy clean up! Can you Freeze Mini Burritos? Yes, you can! It is perfect for meal prep too. Double your recipe and make a batch just for freezing. Prepare them the same with the Reynolds Wrap and store in the freezer for up to 1 month. 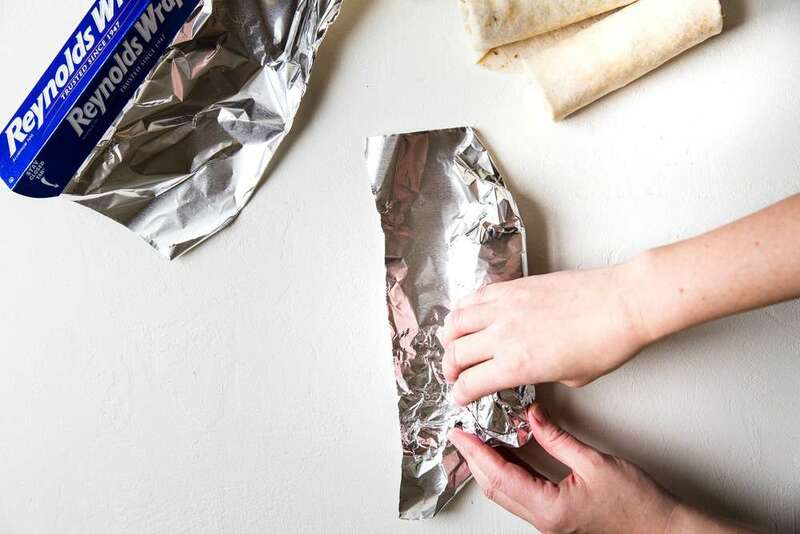 Aluminum foil has the lowest moisture-vapor transfer rate of all wrapping materials. This means that it is the most effective in preventing the loss of moisture and vapor from the food. This is the reason why foil is preferred over plastic wrap for long-term food storage or freezing. Heavy duty foil is also recommended when freezing meals. This kind of foil offers extra protection from freezer burn when wrapping foods for freezer storage. Week nights can be busy with your family. With these Mini Burritos your family can enjoy a sit down meal together or grab-n-go while walking out the door for your next activity. I understand juggling kids, work and extra curricular activities on a weekly basis is hard. I am here to help you during dinner time to make it easy, flavorful and your family requesting it over and over again! 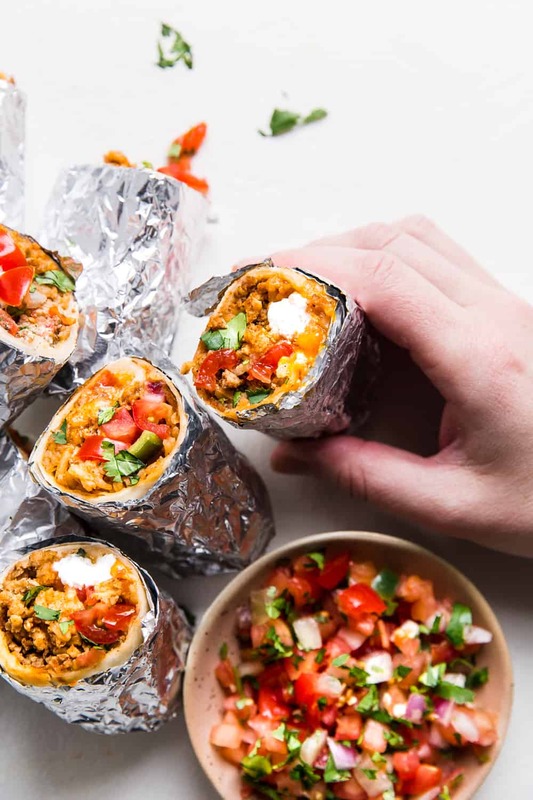 That is why I made these mini burritos to fill your tastebuds with flavor but also make it easy for you to do the things that need to get done. For even more recipes and tips and tricks using Reynolds, be sure to visit their website here! In a large skillet over medium heat, brown ground chicken along with chilli powder, cumin, garlic powder and salt. Once cooked remove from heat and set aside. 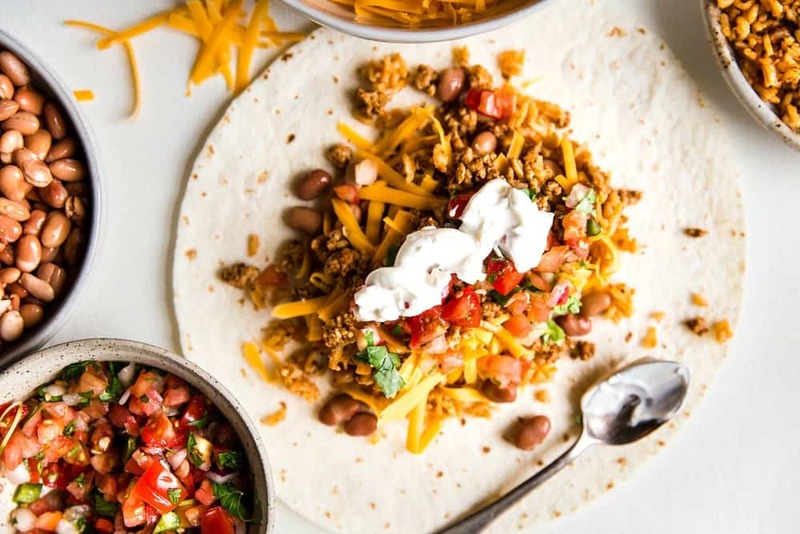 These burritos can be made a day ahead. Once baked, the foil will keep them warm so don't unwrap them! Yes, I recommend baking them, then placing them in the freezer. That sounds fantastic! Way to go!